1 Preheat the oven to 180°C/Gas Mark 4. Heat a frying pan with oil, add the mushrooms and fry gently for around 10 minutes, until softened and cooked. Set aside to cool. 2 Crack the eggs into a large bowl and whisk. Add the ricotta and Parmesan, then mix well. Finally add the mushrooms, parsley and seasoning. 3 Spoon the mixture into well-greased muffin moulds and bake in the oven for 20-25 minutes. 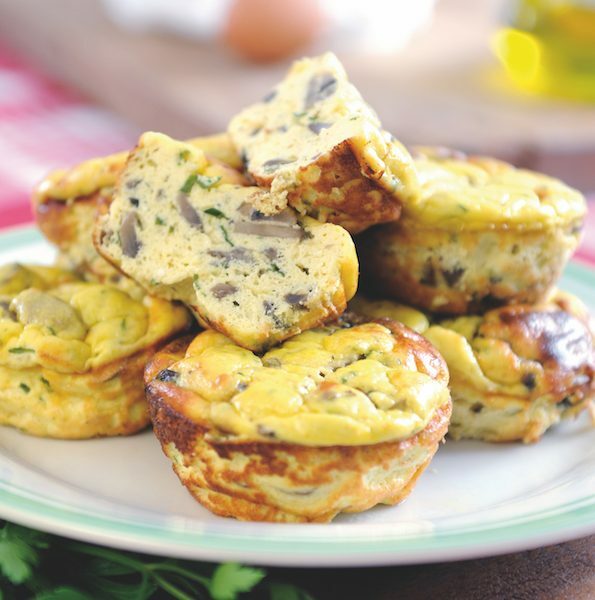 These mini quiches can be eaten warm or at room temperature.